Earlier this year, Toronto band Hollerado released a powerful music video for their track So It Goes. It was in the wake of his grandfather’s passing that Hollerado guitarist-vocalist Menno Versteeg wrote the song, however it is the video that adds an especially heavy dimension to the track. The video tells the story of Versteeg’s Dutch grandfather whom Nazi forces captured during World War II. Rather than being executed, his grandfather’s life was ultimately spared thanks to a compassionate German solider. Once the war ended and his captor was on trial, Versteeg’s grandfather testified on behalf of the German solider which in turn spared his life. 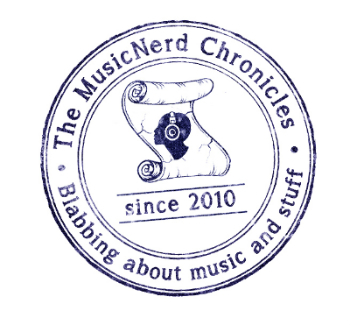 Menno Versteeg spoke with The MusicNerd Chronicles last week about his grandfather and how his life has inspired him to try to see the good in everyone. You can catch Hollerado live at Moncton’s Tide & Boar on Tuesday Oct. 22 and at The Lava Vodka Bar in Fredericton on Saturday October 26. The video for So It Goes helps shine a light on what must have been an imaginably rough time for your grandfather. Did those experiences overshadow the rest of his life? That was one of the most interesting things about my grandfather. He lived through this terrible time and had a really hard life in general but he never let it get him down. He took everything head on. His general attitude was to not let anyone get in your way. He had a great sense of humour and always had a really clever way of going about things. He was a big influence on my life. Where this isn’t your run of the mill music video, have you heard much from people whose families may have had similar experiences? One thing that has hit me is the amount of emails and notes I have received from fans of the band but also total strangers whose families had these kinds of life-changing experiences. One person told me how towards the end of the war, their grandfather was hiding out but was spotted by a German soldier. I guess the German solider just winked at him and continued on his way. Those are the kinds of stories that get passed on. As unimaginable as the atrocities committed in World War II were, it’s somewhat fascinating to hear of these little displays of humanity from the Germans. It is a very heavy topic but shows that whether in war or your day-to-day life, you can’t paint everybody with the same brush.